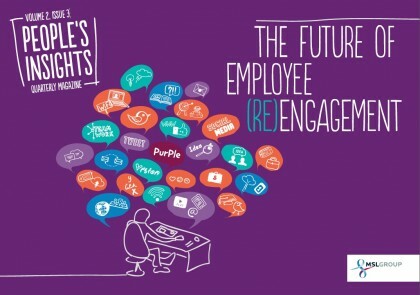 The new MSLGROUP’s Quarterly is dedicated to employee engagement. They’ve asked me to write an article about this topic and the shift related to the socialization of the uses in companies. Here is my article, you’ll find the quarterly at the end of this post. No man is an island, and no company either. Megatrends, like the downturn, digital, new generations and instability, show that the world is shifting and companies have to evolve too, to survive. Evolve means become more digital about customer experience and employee engagement, and a changing business model. Last year, the McKinsey Global Institute estimated that $900 billion to $1.3 trillion in annual value could be unlocked in just four sectors by products and services that enable social interactions in the digital realm. De facto, former CEO of Burberry Angela Ahrendts, who is moving to Apple to head retail, wonders how companies will survive without becoming digital and social. For this article we are going to focus on the internal part – employee engagement. We are no more in an industrial world where an employee runs repetitive tasks – most are now automated. Today, added value is more about autonomy, creativity, innovation and nimbleness. 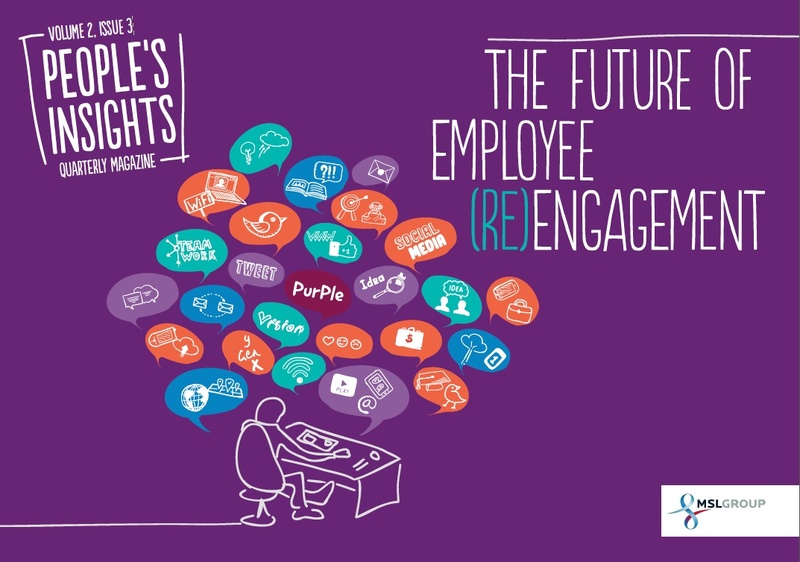 Your employee has to be engaged, not just present. But many studies show that more than 70% of the employees are disengaged and at the same time 75% of CEO expect from their employees to be collaborative. Schizophrenic? Maybe. But that’s why you really need to engage your employees to be social. Transforming an organization it is not a question of technology, it’s about establishing new relationships based on trust and transparency. But of course, you can’t ignore the existing processes, and even if a decision is taken at the highest level, it takes time and often pain to come to life. We can rework processes‘easily’, buy history represents the culture of the company and its identity and cannot be shaken just like that. Similarly, the formal and informal relationships structures of the organization cannot simply be ignored. This is true at all levels of the organization. “Make a clean sweep of the past” remains an ineffective slogan in this regard. Change takes time, and must be brought about step by stepwith all stakeholders (who do not necessarily have the same vision). When companies think about change, they often fail to think out-of-the-box. Companies shouldn’t just wonder why their business works like it does. Then they should dream of things that never were and ask ‘why not.’Just imagine what their business will look like in five years:structures and practices that look nothing like the current corporate model but focus on the value chain and customer relationships. When you interrogate companies’ histories you find that they have shifted and taken risks multiple times, to transform their processes and structures to adapt. Today, C-suites are totally focused on the economic downturn. If social can be part of the answer, it’s a mid/long term view, not really a short one. But companies need to set up a long-term vision and strategy too. Yes, a digital transformation can unsettle some employees and part of the management, but the actual situation is already unstable and won’t slow down. Employee disengagement is one of the most important warning signs of that situation. And yes, climbing the maturity curve can take long. For the moment, most of the companies (and competition) are walking, sometimes stumbling, but soon they are going to run. Mistakes that are forgivable today won’t be in the future. Companies must have an approach that combines both short-term and long-term. Showing employees that the company is not only focusing on cost killing, but also has a long term vision where employees are central is a strong signal, one that opens perspectives and allows for commitment between organization and employees. The issue is not about adding complexity, but focus on central points to spark a move. When you look at these central points around disengagement, you can see that a social approach can be part of the answer. By being social and using social tools, management will be able to communicate more easily, share and cascade information, explain the vision and decisions, take into account employee’s suggestions, and improve listening skills. All this results in greater transparency – everyone can see that they are not the only ones facing issues, and anyone can find answers through the enterprise network. Transparency will also highlight the investment of everyone and allow a greater recognition of each one. Social tools have existed for years now. The crux of the issue is willingness – are businesses willing to be social? Ce contenu a été publié dans enterprise 2.0, management 2.0, Post in english par Anthony Poncier, et marqué avec disengagement, engagement, enterprise 2.0, management, management 2.0, mslgroup, social business. Mettez-le en favori avec son permalien.